1. Right click on project. 6. Add package, class name. In this case the package is com.informalsemantics, the class is FirstServlet. You have now created the scafolding for a simple servlet, however you will notice some compile time errors. 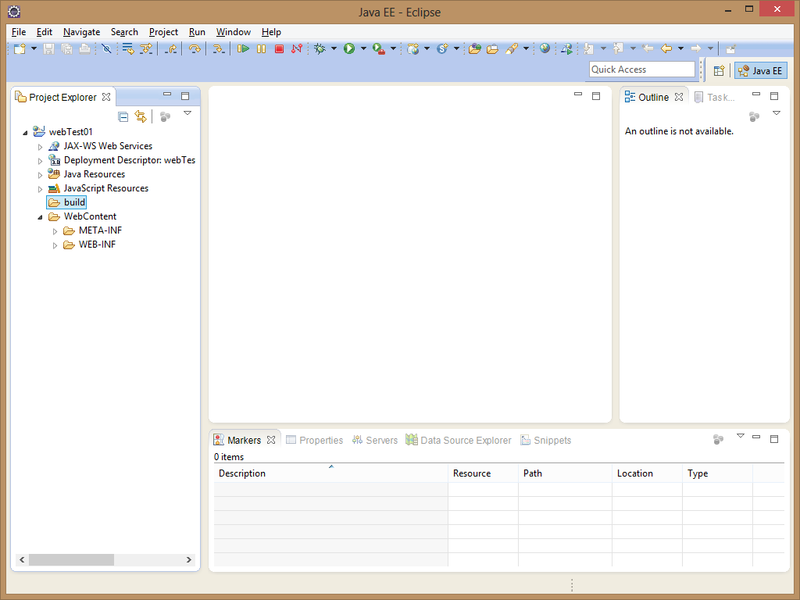 All of the imports for javax.servlet. * will be underlined red and have compile time errors. 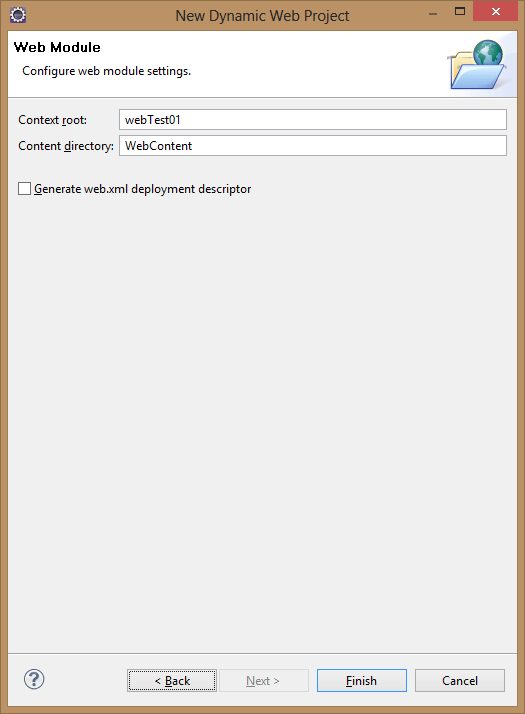 For this, you will need to add the servlet-api.jar to the build path. 2. Click on the libraries tab. 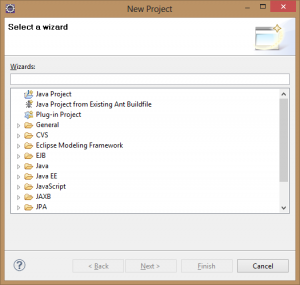 Eclipse will now recompile your project and the compile time errors will disappear. 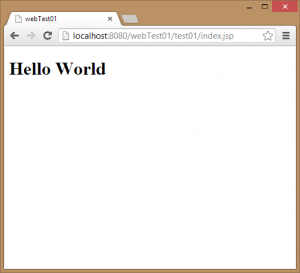 You now have FirstServlet.java under src in the package com.informalsemantics. Lets do the usual, and add some code to display “Hello World!”. There are 3 default methods in your servlet class. 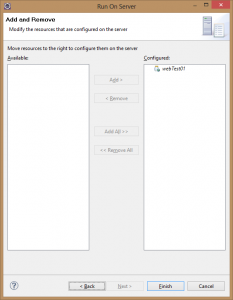 – doPost – is called when the servlet has a post http request made to it. – HttpServletRequest – contains anything that comes FROM the browser. – HttpServletResponse – Contains the stuff the application needs to send back to the browser. 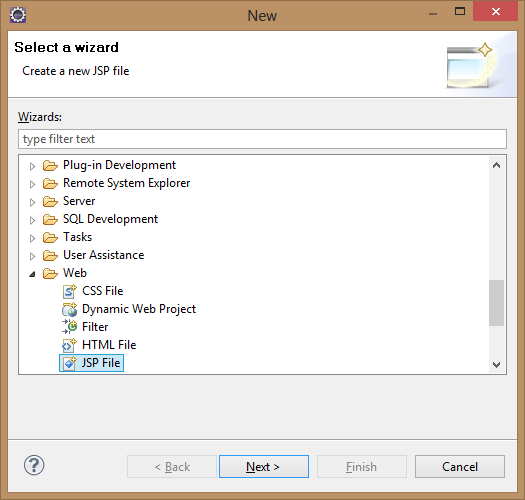 Most common is to get the writer from HttpServletResponse for a PrintWriter that then writes data back to the browser. response.setContentType(“text/html”) tells the browser to expect HTML. You can then use the out.println statement to build a webpage using standard HTML tags. In the real world, your code will never be this simple, so let’s create a custom helper class to do some work in our new servlet. In this, I’ve used a helper class to output the title and change the colour to blue. 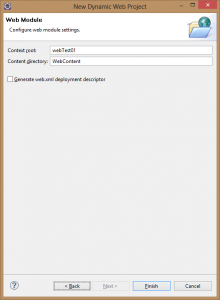 This gives an example of how to interface with objects within your servlet. I’ve created a servlet called TestServlet1 and a custom class called TestServlet1Utilities. The TestServelet1Utilities class contains a single method that simple returns a string with the HTML doctype and head tags. See below. * <post>: Outputs the required html as a string that defined the title. You can now create a servlet by just using an annotation. and this allow, assuming your class extends HttpServlet, is enough to let the web app know to serve your servlet from the specified path. Prior to this, each servlet has to be specifically specified in the applications web.xml file. Web.xml lives inside the web-inf directory of your application. While this is how you will see a lot of servlet code written, annotations is an easier and simpler approach. All programs require some for of flow control. Flow control is typically in the forms of either decision making (e.g. Do I need to run code block A or code block B) or loops (e.g. I have to run this block of code 10 times). In keeping with previous blog posts, all sample code is encompassed by jsp scriptlet tags so you can copy and past directly into your JSP pages for experimenting. If statements work by evaluating a given expression, then if true, running a certain code block, and if false skipping the code block and continuing. 1.a In this IF statement, we are going to check if 1 is equal to 1. If true, the code will output the word YES. 1.b In this IF statement, we are now going to check if 1 is equal to 2, which will return false and no text will be output. 1.c.In this IF statement, we are now going to check if 1 is equal to 2, however we will now return something if the expression evaluates to false and output the work NO. In this statement, we will check 1=1 and if true then check if 2=2. Only then will we output yes. While loops work by running a particular code block while a certain clause is true. In this example, the counter variable is incremented by 1 and output with each run of the loop until the counter is less than or equal to 5 clause equates to false. *The loop invariant is what causes the loop to exit. In this case, the loop will always exit as the counter will always count up to 6 and cause the clause to return false. If you don’t increment the variable, you will create an infinite loop that will eventually cause your application to run out of memory and crash. For loops work just like while loops, but have some nice clean syntax that is easier to code and helps prevent issues like infinite loops. The initialization expression initializes the loop; it’s executed once, as the loop begins. When the termination expression evaluates to false, the loop terminates. The increment expression is invoked after each iteration through the loop; it is perfectly acceptable for this expression to increment or decrement a value. This tutorial shows how to use an external class within your JSP pages to perform complex logic. For this example, I have imported the java.util.Random class which is used to generate a random number. java.util.Random is part of the core java API and can be imported into any of your classes or JSP files where needed. 1. Below is an example of using this class to create a single random number. Simply put this into your own JSP page and include the above import and you should also be able to output a random number. 2. To make things a little more interesting, the below example generates 50 random numbers by using a for loop. Full source code is below to provide a little more detail on where to include the import statement in the context of a full JSP page. I recommend everyone to sign this petition. Java is a software package beloved by users and developers all over the world. Unfortunately Oracle Corporation decided to sacrifice the integrity of Java by bundling Ask Toolbar with Java in order to make few pennies per download in profit. It is demeaning for a respected corporation such as Oracle to resort to such techniques only to make a small profit. Ask Toolbar hijacks user’s default search engine and forwards them to Ask search engine which resorts to various misleading advertisement techniques in order to confuse the unsuspecting users into clicking on their paid ads. – When you use Java’s automatic updater to install crucial security updates for Windows , third-party software is always included. The two additional packages delivered to users are the Ask Toolbar and McAfee Security Scanner. – With every Java update, you must specifically opt out of the additional software installations. If you are busy or distracted or naïve enough to trust Java’s “recommendation,” you end up with unwanted software on your PC. – IAC, which partners with Oracle to deliver the Ask toolbar, uses deceptive techniques to install its software. These techniques include social engineering that appears to be aimed at both novices and experienced computer users, behavior that may well be illegal in some jurisdictions. – The Ask search page delivers inferior search results and uses misleading and possibly illegal techniques to deceive visitors into clicking paid ads instead of organic search results. We, the users and Java programmers, hereby demand that the Oracle Corporation remove Ask Toolbar from the Java installer and not bundle any other 3rd party software with Java in the future. This tutorial will explain how to use both expressions and scriptlets to put dynamic content within your jsp pages. Expressions provide the ability to include simple java within your page that is evaluated at run time with the result being output to the page. The character sequences to enclose Java expressions. Examples 1 and 2 from the source code below demonstrate this below. For more complicated java, scriptlets can be used. 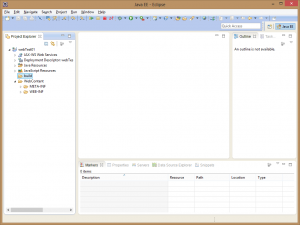 Scriplets provide more complicated blocks of java code to be inlucded within the page. 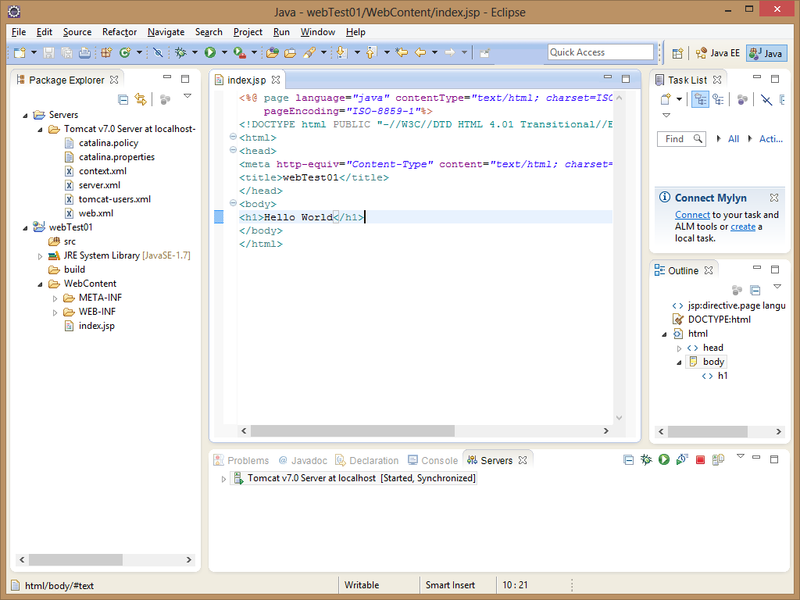 Example 2 above shows a scriptlet created a local variable called helloWorld. Examples 4 and 5 demonstrate this further below. 3. Having an expression print true or false when comparing variables on the server side from a previous scriptlet code block. Failed to load the JNI shared library "C:/JDK/bin/client/jvm.dll". The cause of this error in my case was that when installing the JDK, I pointed the environment PATH variable in Windows to the 32 bit version instead of the 64bit version. As I was running 64bit Eclipse and 64bit Windows, the PATH variable needed to refer to the 64bit version or applications using this path to find the java executables would fail. 1. Run eclipse.exe from the installation folder. 3. Close the ‘Welcome’ page. 4. 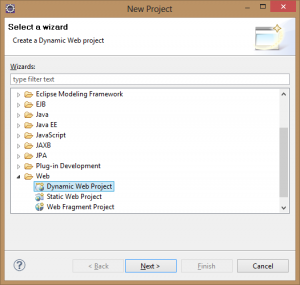 Select Web -> Dynamic Web Project. 5. Enter a project title. 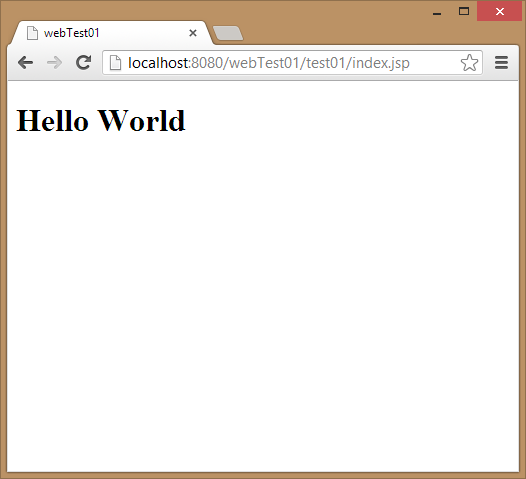 For my project, I’ve named it webTest01. Click next. 6. This page allows you to configure the structure of your project. For now, lets leave everything as default and just click next. 7. 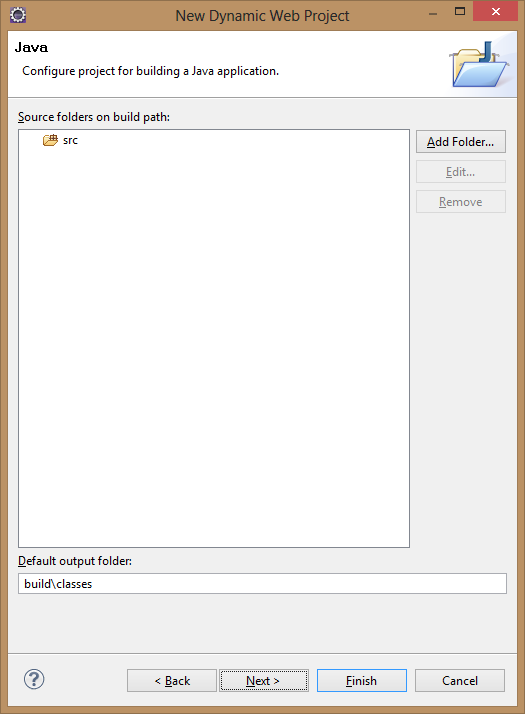 This page allows you to make more changes to the folder structure of your project. For now, lets leave everything as default and just click finish. 8. 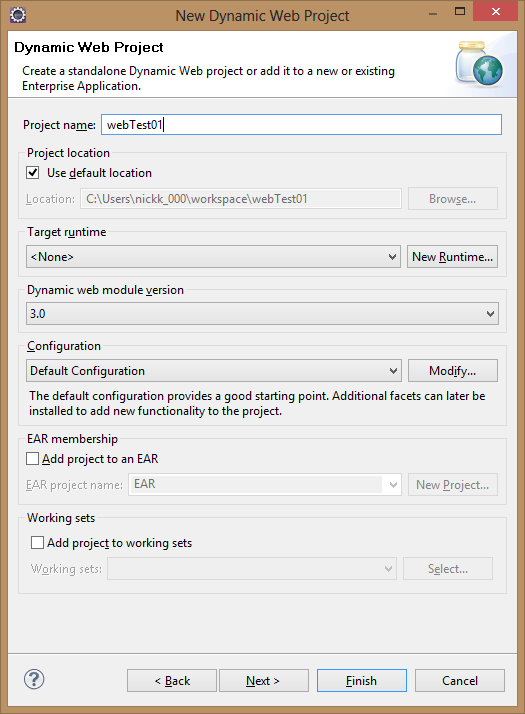 You should now see your newly created java project as webtest01 in the project explorer to the left of the screen. 2. Once you have created your JSP file, add the text ‘Hello World’ into your project with h1 tags. Setting up a server. 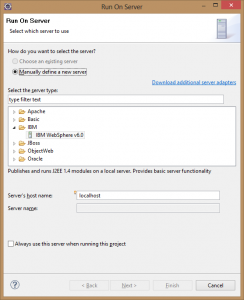 Before being able to run your application and access it via a browser, you will first need to install a java web server. 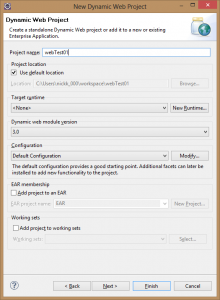 You will be prompted to do this the first time you try and run your project, so do this now. 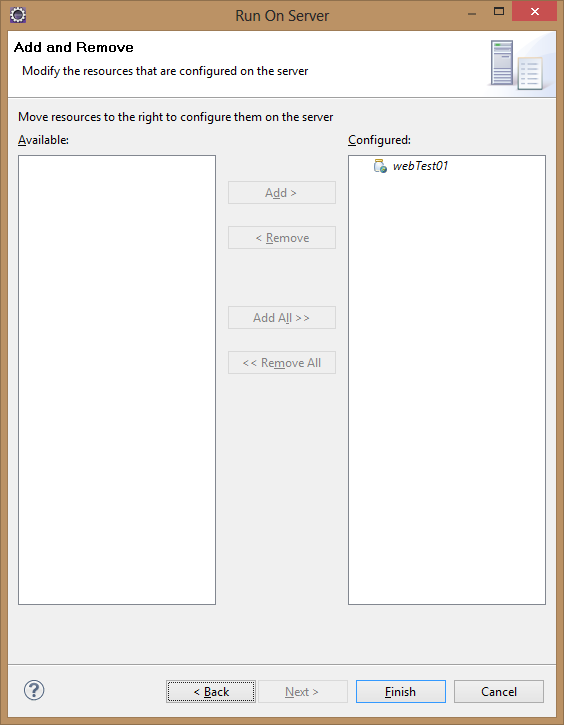 As we have created a web project, but don’t currently have a web server set up, the above screen should appear. 2. 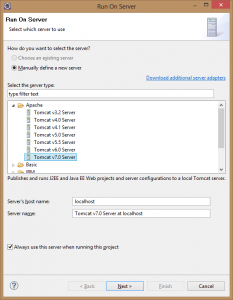 Choose Tomcat v7.0 Server from within the Apache folder. (you won’t be able to choose the others as they do not support the latest version of Java JDK that you have installed. To use older/other servers, you will need to download and compile your project with an older version of the JDK.) Click next. 4. 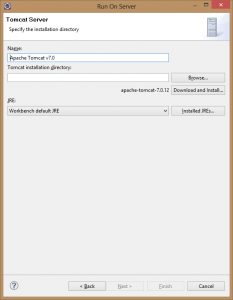 As we don’t have Apache Tomcat installed, click on the download and install… button and have eclipse do this automatically for you. 5. Once complete, you should see your selected install location (in my case c:\tomcat\ in the Tomcat installation directory. 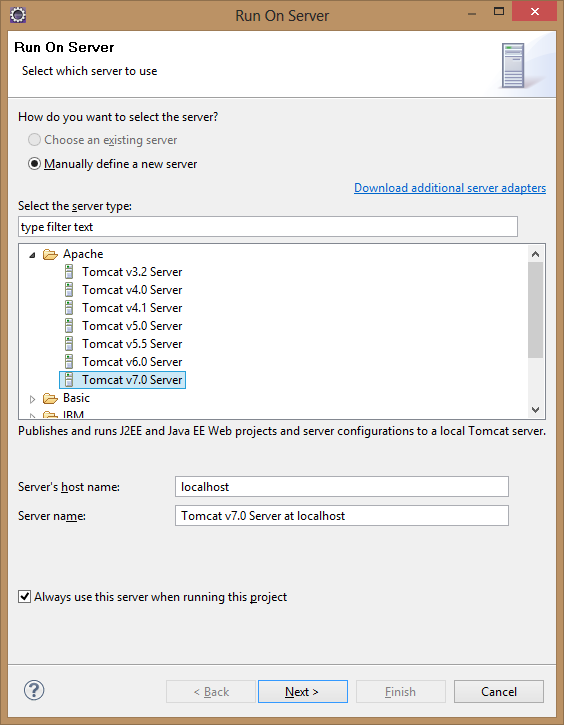 Once tomcat is installed, click on the next button. 6. Make sure your project is on the configured side of the page. 7. Once your screen looks similar to above, click on the finish button. You will see a some red text appear as the server starts up. This is all good and is just INFO output on tomcat starting and is not typically errors. 8. 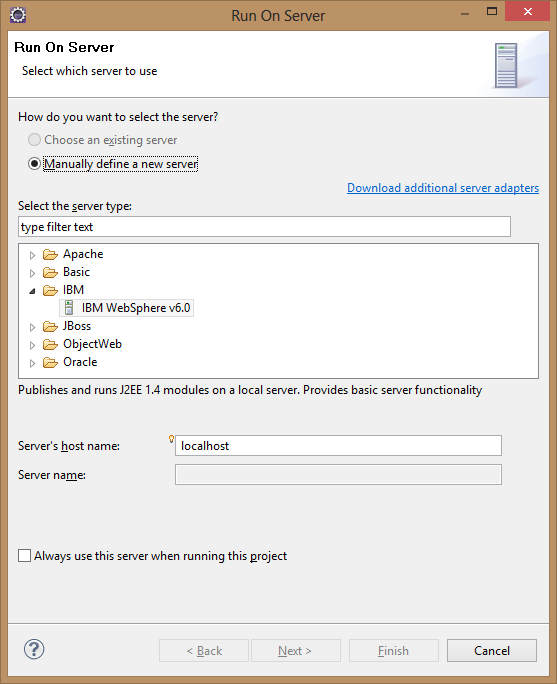 Once the server has started, you can open a browser and navigate to your now running application. Your application will always run on localhost (the keyword for your local machine) and underneath the folder of your project name. The default port your application should run on is 8080. – Investigate if something else is currently using port 8080. In my case, I had another application using the port, which I configured to use a different port and restarted. After this my server worked correctly. – Java is case sensitive. Make sure /webTest01/ is typed in case sensitive as any variance of the case will cause the page to not load. 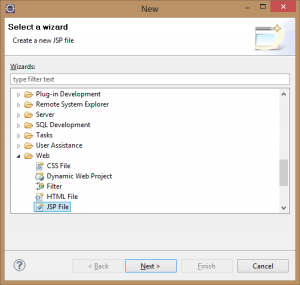 – If you didn’t use index.jsp, you will need to type the full path to your jsp file. First things first, in order to do some java development, you will need to download some software. 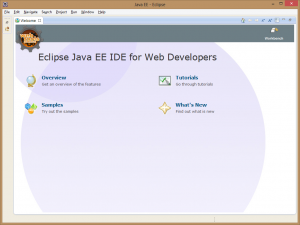 The main 2 items you will need to download and install are the Java JDK and an IDE. From the System properties window, select the ‘Advanced’ tab. Select the Environment Variables button. In the “System Variables” box, scroll down to PATH and select edit. At the FRONT of all of the existing variables, insert your java installation directory followed by a semi-colan. e.g. UPDATE: for the 64bit version of Eclipse and Windows, you will need to point the PATH variable to: C:\Program Files\Java\jdk1.7.0_13\bin and not the 32bit version. Hit OK and close all of the open windows. If you see a console output, the JRE has installed successfully. if you see a console output, the JDK has installed successfully. 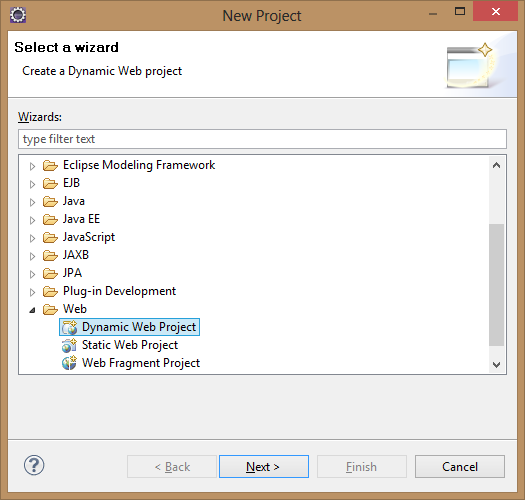 An IDE (Integrated Development Environment) is the tool you will be using to write code. 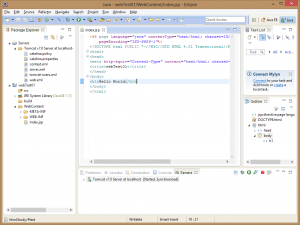 While it is possible to write all of your java code in notepad, an IDE will provide a range of handy tools to assist you, such as syntax colouring and code autocomplete. 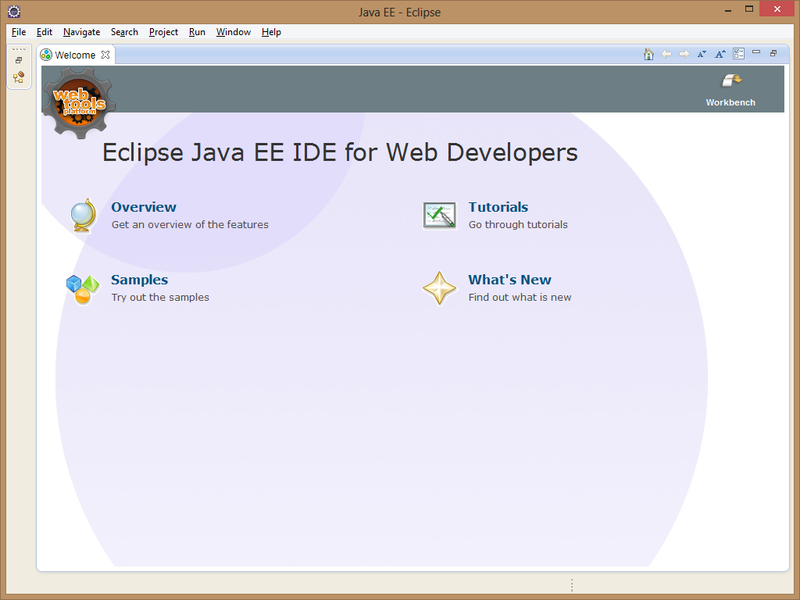 For this blog, I have chosen Eclipse as my IDE of choice as it is the one I am most familiar with. The download link you will be looking for will be something along the lines of “eclipse-jee-juno-SR1-win32-x86_64.zip” which was the latest x64 windows release at the time of writing. 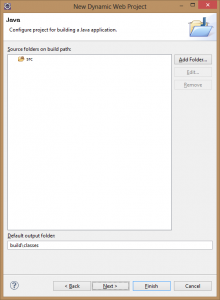 Create a shortcut for eclipse.exe on your desktop if needed. While I have worked with java in the past, my java skills are fairly rusty. To try and get back into the swing of java and OO development, I thought I would develop some small java projects in my spare time and document my progress and steps through this blog. To start with, I thought I would write some steps for a beginner on installing the JDK and IDE and firing up their first Hello World in JSP. As a developer, I think all of us can remember a time where we have spent all day trying to resolve a particular bug, only to figure out the solution ourselves as soon as we begin to explain the problem to a colleague. Well it turns our you are not alone. Rubber duck debugging is a term used to define the method of debugging where by explaining your code actually uncovers the problem. By forcing yourself to sit down and explain your code, you begin to look at your code in a completely different light. Typically, you read and reread all of your code trying to find a problem, however by actually having to explain it, you have to take it to that extra level of understanding which often enough to uncover the originating cause of the bug. Another way to look at it is that you truly don’t understand something until you can explain it to someone else. By explaining your problem out loud, even to someone that doesn’t understand you, the act of thinking about something to the point of being able to easily explain it will allow you to uncover the underlying cause of your problem. Where did the name “Rubber duck debugging” come from? A story told to me by one of my old lecturers was that term ‘rubber duck debugging came about because a famous unnamed programmer would keep a rubber duck on his desk, and every time he came across a problem, he would explain all of his code, line-by-line, to his duck. The idea being that by explaining the problem to someone, even an inanimate object like a rubber duck, he would see the problem through a different lens and often uncover the cause.